K 5 Premium Home T 350 11813150 https://www.kaercher.com/ae/home-garden/pressure-washers/k-5-premium-home-t-350-11813150.html The "K5 Home" with water-cooled motor and hose reel for ease of use. A high-pressure cleaner for moderate dirt. Including Home Kit (T 350, stone and facade cleaner). The "K5 Home" with water-cooled motor and hose reel for ease of use. A high-pressure cleaner for moderate dirt. Including Home Kit (T 350, stone and facade cleaner). The "K5 Premium Home" with water-cooled motor lives up to its name. This high-pressure cleaner is ideal for bicycles, stone walls as well as SUVs and is suitable for use around the home as a reliable "Premium" machine for moderate levels of dirt. 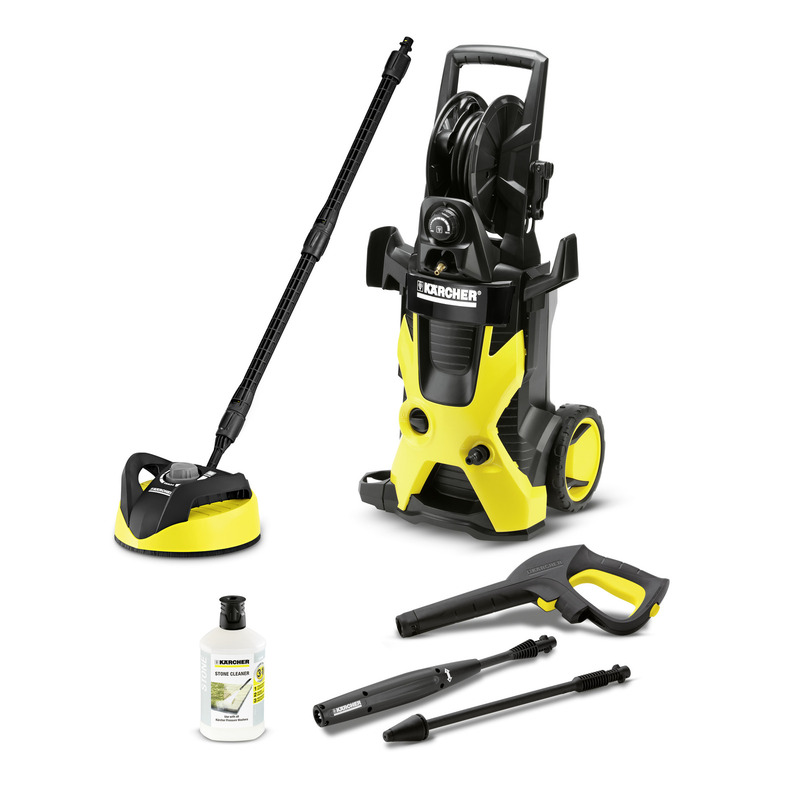 The Home Kit contains the T 350 surface cleaner for splash-free and effective cleaning of large areas and includes the 3-in-1 stone and facade cleaner. Features include a Quick Connect gun, 8 m high-pressure hose, Vario Power spray lance (VPS) with practical twist action pressure regulation, dirt blaster with rotating pencil jet for removing stubborn dirt and water filter for protecting the pump against the ingress of dirt particles.